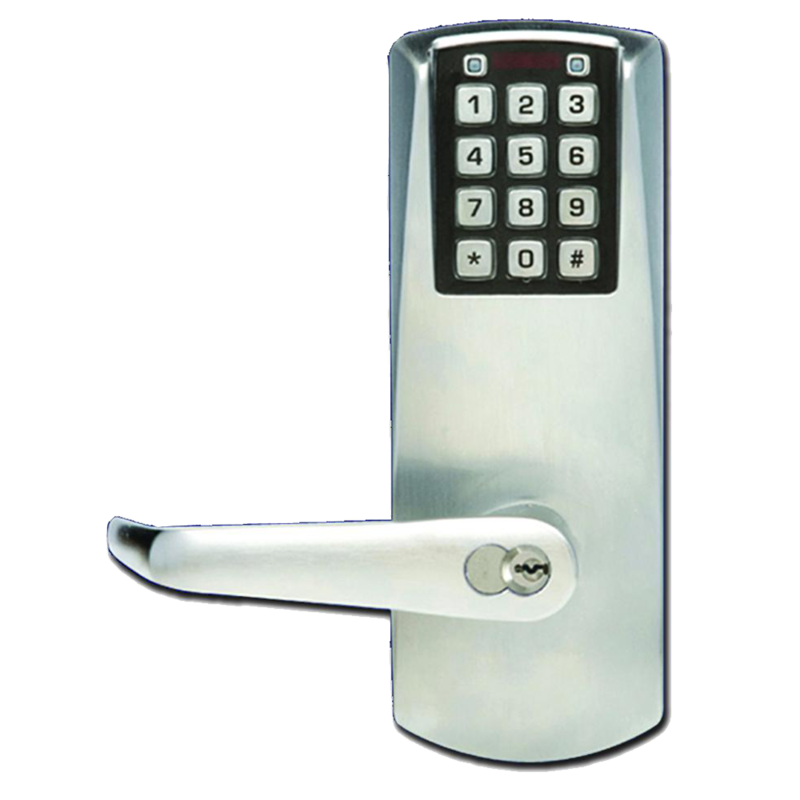 The weather resistant E-Plex 2000 series from Kaba is an electronic digital lock solution. 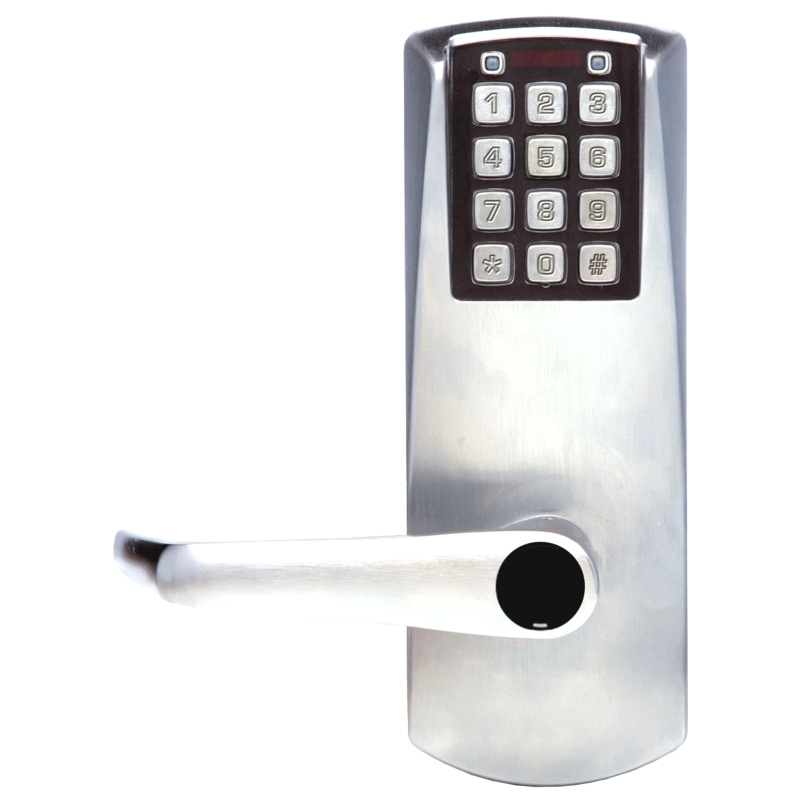 The lock can be easily programmed via the keypad and does not require the lock to be removed from the door. Alternatively, the lock can be programmed using an optional Microsoft Excel-based software. With no wiring required, the E-Plex 2000 is easy to install. This unit supports up to 100 user codes and features a key override. 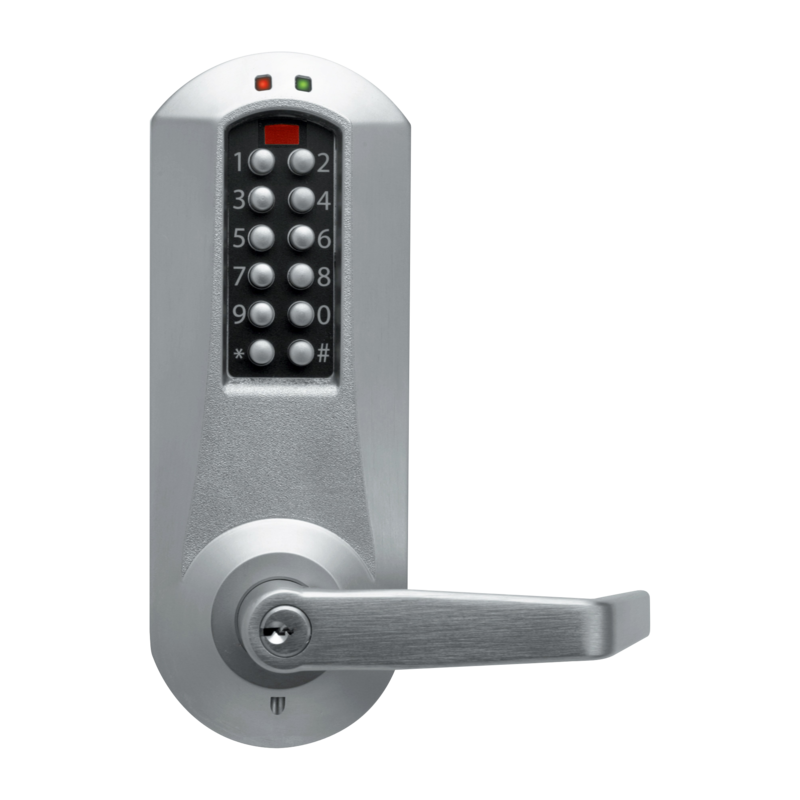 The E-Plex 2000 Powerstar Digital Lock from Kaba is self-powered using their unique PowerStar™ technology. The built in super capacitors will hold a full charge for up to 10 weeks with no activity, making this the perfect choice for remote or rarely used storage facilities. The weather resistant E-Plex 5000 series from Kaba is an extra heavy duty electronic digital lock solution suited for both internal and external applications. The lock can be easily programmed via the keypad and does not require the lock to be removed from the door. Alternatively, the lock can be programmed using an optional Microsoft Excel-based software. With no wiring required, the E-Plex 5000 is easy to install. The adjustable anti-tamper lock out feature lets you choose how many invalid Pine code attempts to allow before they are locked out.